“Show me where you sleep and I tell you who you are. “ The bedroom is our most intimate sphere, a place of peace and quiet, of relaxation, of collecting thoughts and gathering strength. This is where we enjoy total privacy, and where our own personality comes to the fore. Even our innermost needs and desires are reflected by this brand-new range of gorgeous wall coverings in all their facets: romantic and playful, luxurious and lavish, purist and structured, in princess-pink, sensual black, futuristic silver or royal blue. You’re sure to find what you need in our fabulous new designer range. A warm, comfy bed, reflections on the day – clothes are shed along with worries, the mind is at rest. Our bedroom wallpapers will help you drift off to the land of nod, inducing sweet dreams. The bedroom is the place where your most private, individual self can be reflected – and that includes your choice of wall décor. Delicate or elegant patterned wallpapers, luxury designs with tactile surfaces and iridescent light reflections, three-dimensional wall coverings that create movement, or warming natural styles – we will make your bedroom dreams come true. 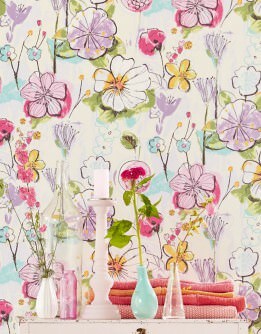 Discover the new bedroom wallpaper range in our shop. Close the doors behind you, leave the world behind, and let our stunning bedroom wallpapers take you to the land of dreams. The bedroom is where we enjoy the end of the day, take comfort in the warmth of our beds, reflect on the events of the day and let our bodies relax. It requires a wall décor that will inspire dreams and lift the stresses of the day. It might be romantic, imaginative or visionary - cosiness and well-being come in many forms. 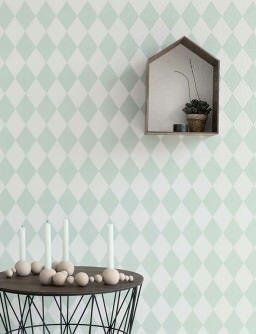 Patterned wallpaper to indulge the senses, baroque wallpaper for opulent elegance, playful shabby chic or calming ZEN worlds - the choice is yours! Bedroom wallpapers which will take you straight to dreamland, which will create an ambience of relaxation and peace and allow you to forget the troubles of the day - our design wallpaper shop is the gateway to a word of dream bedrooms: patterned, with top quality materials and for any style you might be dreaming of. "The worst thing in the world is to try to sleep and not to." 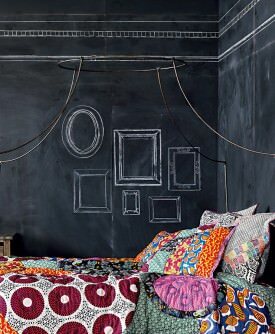 (F. Scott Fitzgerald) But let us go one step further and say: The way you design your bedroom determines how you sleep. Fantastic pattern and design wallpapers with unusual surfaces and calming colours create a relaxing ambience for this place of relaxation and retreat. These days, the colours used in bedrooms aren't limited to cool and/or neutral hues; more intense and warm colours have also been introduced to the boudoir. The wallpaper patterns for your bedroom wallpapers are totally up to your own style ideas, but you should consider a few aspects of room layout and design. Children's and teenagers' rooms as well as multi-purpose bedrooms demand a certain amount of consideration in order to fulfil the various different needs and requirements. People who have a healthy waking/sleeping rhythm spend at least one third, and sometimes almost half of the day in their bedrooms. That is obviously a considerable amount of time, which is why the design of this particular room is so significant - and increasingly, wallpapers play a major role. It used to be different, as bedrooms were mainly seen as a functional area. A bit of colour and perhaps some delicate structure were seen as sufficient, and patterned wallpapers were mainly reserved to representative surroundings like the living or dining room. Today's bedroom is a design oasis and we put so much more creative effort into this part of the home. Books, magazines and of course the World Wide Web provide plenty of inspiration. 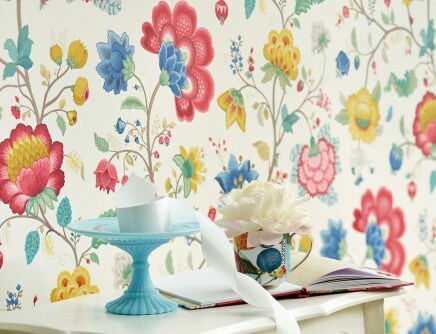 By utilising designer wallpapers, any style of interior design can be achieved in bedrooms, e.g. Country Look, Shabby & Boho Chic, New Romantic, Modern Baroque, Mid-Century, and Loft Style. So what do we do in our bedrooms, apart from closing our eyes and drifting into the Land of Nod? We read books, we watch TV, we enjoy togetherness, we dream, we withdraw from the world for a few precious hours. But many of us find it hard to switch off, and insomnia appears to have become a mass phenomenon. Which is precisely why our boudoirs should become another world, a space where we can unwind and gently fall asleep, where the stresses and strains of our daily grind are replaced by positive thoughts. When it comes to bedrooms, "less is more", and this is also accurate for wallpapers. Furnishings and textiles should be matching, especially in terms of colour; too much contrast is detrimental. Bedroom furniture should be practical and perhaps more on the sparse side, and the same is true for decorative elements. This ensures relaxed hours and restful sleep. After all, the mind cannot switch of so easily amidst chaos or in claustrophobic surroundings. Nothing is impossible when it comes to patterns, designs, effects, surface materials and structures of bedroom wallpapers. They aren't usually subject to much condensation or (with the exception of kids' rooms) potential damage. As a result, your wallpaper for the bedroom can have any surface material of your choosing. Here are a few examples: natural wallpapers, textile wallpapers, metal wallpapers, effect foil wallpapers, leather wallpapers, glass bead wallpapers, etc. 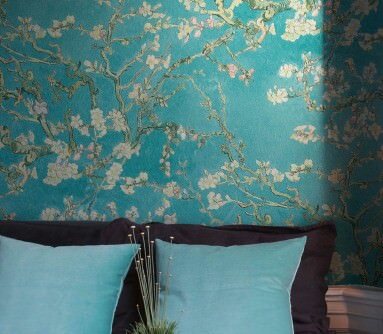 If, or to which extent, wallpapers for the boudoir can be wiped clean with a damp cloth depends on their cleaning characteristics (wash-resistant, highly wash-resistant, scrub-resistant or highly scrub-resistant). You can find this information in all of our wallpaper descriptions. To order your new bedroom wallpaper, simply go to our Wallpaper Shop and take your pick amongst a wide array of non-woven or paper-based varieties. They are distinguished by different carrier materials, but the quality remains exceptional for both variants. 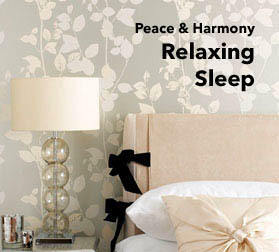 We only stock high-quality design wall treatments for bedrooms. 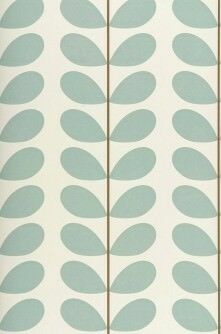 Non-woven wallpapers are exceedingly robust and retain their shape, so they can even be used in wet rooms. They can also be removed without the need to soak them first. 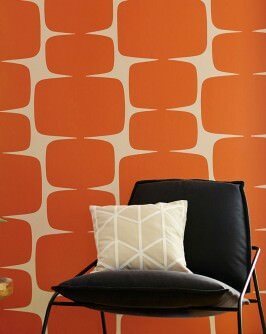 With these types of wallpapers, the adhesive is applied directly to the wall, which saves time and effort. Bright and garish or neon colours should be avoided. They are too stimulating and can prevent you from finding the peace (and the sleep) that you need. A colour ambience that is too dark or cold can also be detrimental to one's sense of well-being. A cosy and stylish bedroom is achieved by suitable patterns, effects and materials. Contrasts are fine, as long as there is still a coherent picture. When it comes to patterns for bedroom wallpapers, there is an endless choice of themes: Baroque wallpapers, floral wallpapers, romantic wallpapers, geometric wallpapers, nostalgic wallpapers, striped wallpapers, and glamorous wall décor for boudoirs are all available in our huge range. Metallic and 3D designs, glass beads, velvety flocking, fold structures, natural surface materials like bamboo or grass, wood or stone imitations - just a few examples of how a bedroom can be turned into the realm of dreams with designer wall décor. Using design wallpapers in bedrooms on feature walls is still an interior design highlight in the bedroom. Often it is the wall by the bed that is beautified with an unusual pattern wallpaper, making it the central point of the room. When it comes to choosing patterns, your best bet is to base your choice on your own style preferences, e.g. 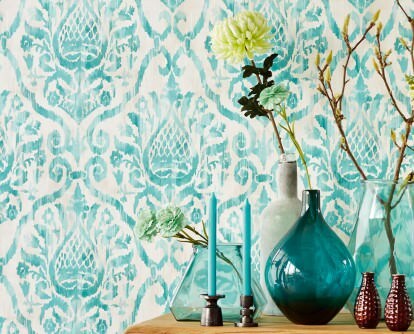 a baroque pattern wallpaper or a geometric, figurative or nostalgic pattern. Interesting wood and stone imitations or a sophisticated leather wallpaper are also very suitable for feature walls. 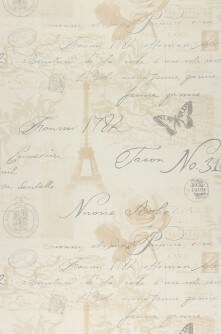 Romantic and nostalgic motifs are popular in boudoir wallpapers, too. But pattern and design wallpapers cannot just be used for feature walls: how about giving the front of a chest of drawers or wardrobe a new lease of life? Another popular option is to make a headboard from chipboard or gypsum plasterboard and applying a beautiful patterned wallpaper to it. Covering all walls in your bedroom with pattern or design wallpaper is an option which requires a little bit of finesse in order to create a coherent overall picture. There are huge amounts of possibilities in terms of patterns, structures and surface materials. The following tips will help you make the right choices. The pattern should be coherent and clearly outlined. Bedroom wallpapers with delicate patterns are very suitable here, along with floral wallpapers, baroque wallpapers and geometric wallpapers. When choosing a pattern, the height and layout of the room should be taken into consideration. Wide, large-scale or three-dimensional patterns make a room appear smaller; horizontal stripes have a similar effect. A better option would be delicate or small patterns and motifs that elongate the room. Nature wallpapers with surfaces made from bamboo, cork or grasses can be used on all four walls. They create a very warm, cosy and natural atmosphere. 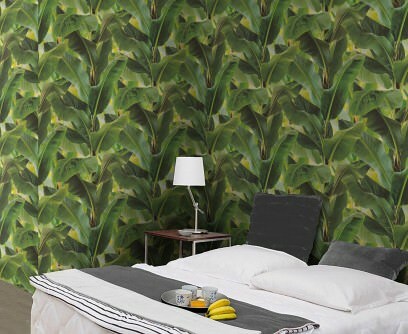 Our Wallpaper Shop provides nature wallpapers in a myriad of colour combinations. Metal wall décor captivates with its fantastic sheen and dazzling effects. Models like, for instance, Kronos or Isidor can be applied to all walls, whilst Flower of Love or Kabloom are better suited for a feature wall as they would simply be "too much" in a sleeping area. 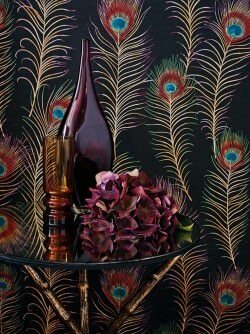 Gorgeous textile wallpapers with fine stripes and glitter threads or stunning glass beads available in our Shop provide a touch of sophistication and glamour. Kids' rooms are predominantly areas of rest for babies; for toddlers, they are places where they sleep and play. Once children go to school, a desk is usually added for them to do their homework on and study. And once puberty hits, the bedroom becomes a sanctuary and a place where friends are entertained. All of these factors influence the choice of wallpapers for kids' rooms, which by their very nature are multi-purpose spaces. Feature walls with pattern or motif wallpapers which stimulate the imagination and promote learning are the perfect way to create a visual divide between sleeping, playing and studying areas. 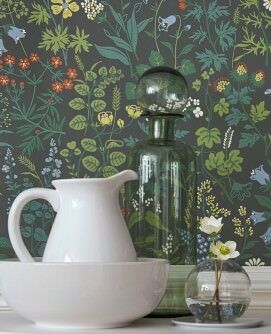 Teenagers, however, tend to go for a visually unified look and often choose to use their favourite wallpaper on all walls. In small flats, both the living and the sleeping areas can be in the same large room. This requires cunning visual demarcation lines in order to create a pleasing ambience. Room dividers or shelves are good ways to create these different areas, as do pattern or designer wallpapers (for instance for the sleeping zone). A separate bedroom might be split according to specific requirements like a reading area, a small desk/office or a dressing/make-up area. A pattern wall décor that creates visual borders makes it possible to provide this separation and still allows for cosiness and a calm atmosphere. Those that are familiar with the latest trends in interior design will be aware that free-standing bath tubs or shower areas are all the rage at the moment. This is less due to a lack of space than to our new way of living. In these cases, it is important to ensure that the bedroom wallpaper is washable and moisture-resistant as both condensation and steam will be present. Are you the proud owner of a B&B, a small hotel or a youth hostel? These facilities are all about their bedrooms, and design wallpapers add a certain je ne sais quoi - money well spent for any proprietor of such an establishment! They emphasise the specific style of a place, provide it with a touch of luxury and class and remain in our memory. And when your guests come back and tell you that they have implemented your unique bedroom ambience in their own homes, it is nothing short of a compliment for your excellent taste.